My fingers are itching for earth...so it's a good thing our construction team is done and I can finally start claiming spots for garden! 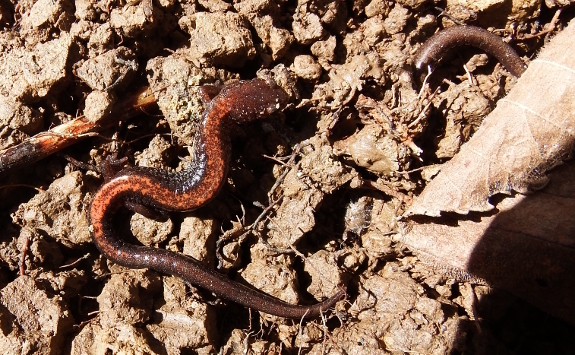 This duo of salamanders showed up under a cinderblock after a rain as I began laying down a kill mulch to plant a late fall bed. I'm starting up close to the trailer rather than in my eventual main garden space for the sake of both simplicity and beauty. The question is --- how much will the nearby honey locusts shade these garden beds? Can I slip in some raspberries and strawberries while I'm at it, or will the canopies that seem very small and open in October block a lot of sun come June? 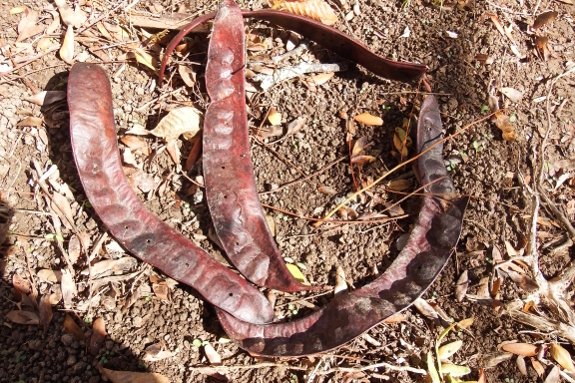 I'd be curioius to hear from anyone who gardens around honey locusts. I know the pods are good for animals, but how do plants fare when planted a few feet away from their trunks? 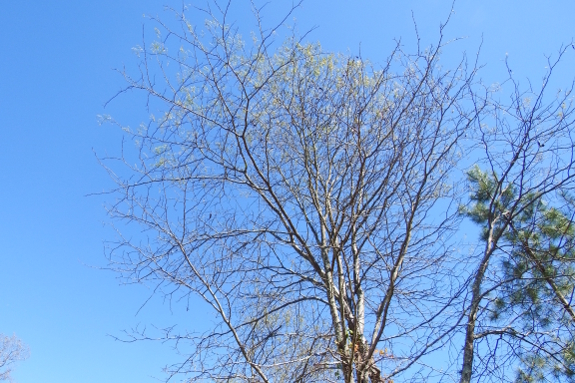 The black locusts I have are on the western side of the house, and are now about 68' tall! I actually have a grapevine about 40" from the locust at the end, and that does well. The shade I get from these locusts is mostly facing east. I also have some wild raspberries, also about 40" N of the locust row, which don't get locust shade at all. In the backyard garden, the mulberries are really "weed trees", and they shade east, over the garden. Under these trees, which also have some black locusts with them, I have daffodils on the eastern bank, which do fine, with no shade in early Spring. Strawberries and some broccoli and even peppers can grow with partial shade, tho blueberry bushes I tried, in with the strawberries really need more sun. Actually, the locusts are now almost 4X higher than my house!! I don't like the locust straw on my roof, but love that straw to mulch with!